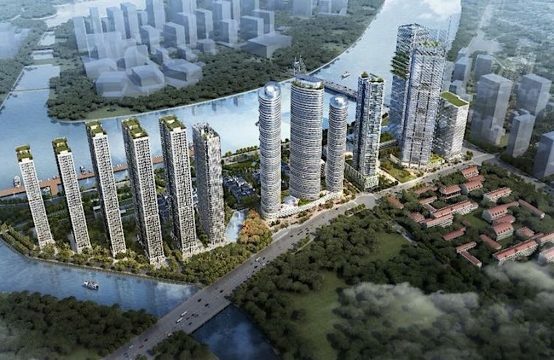 On July 25, the tower with the record height of Vietnam named Landmark 81 in the urban area of ​​Vinhomes Central Park (Ho Chi Minh City) was officially launched. 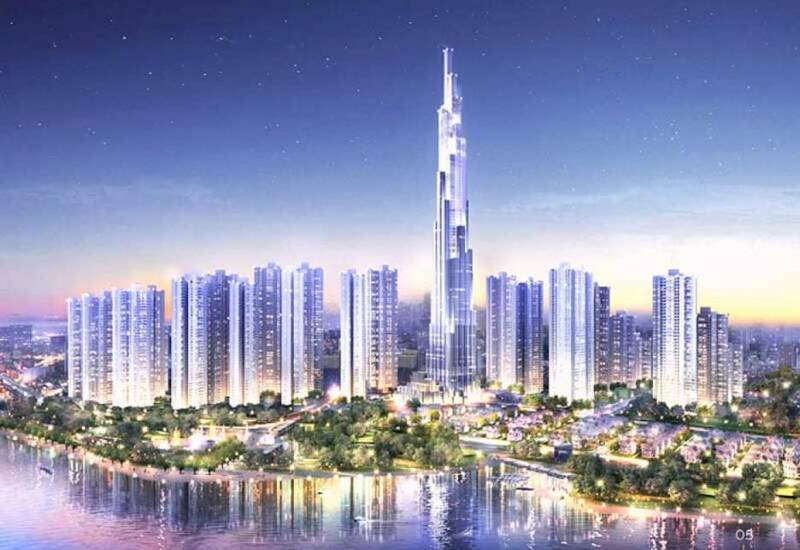 With a height of 461 m, the Landmark 81 will become the symbol of the peak and mark the future prosperity of Vietnam. Inspired by Vietnam’s bamboos, from the traditional bundle of bamboos, Landmark 81 Building was the first time listed in the top 10 of the world’s tallest buildings of Vietnam, up to now. The building comprises 81 floors and 3 basements, has the scale of a city inside the heart of the city convening full of superior functional areas. Like Vinhomes Golden River Ba Son, all exterior of Landmark 81 building is equipped with high-end Low E Glass. As an architectural work not only of record height, but also a symbol, Landmark 81 is now a proud and symbol for the prosperity and modern of dynamic Saigon in particular and Vietnam in general. Landmark 81 is the largest “green tower” in Vietnam. The very special and impressive feature in Vinhomes Central Park Landmark 81 is that although it is a modern high-rise building, it is extremely friendly and bring absolute comfort to users. All of the exterior glass used for Landmark 81 is Low-E glass which is an architectural accent with outstanding features such as light transmission, ultraviolet light and UV radiation prevention making the rooms here fill with light but still cool with a stable temperature. 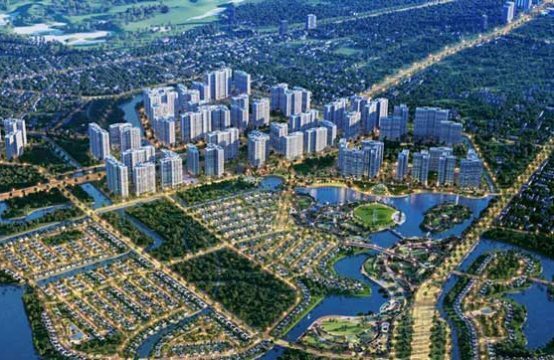 There is also a European-standard clean water system for the first time in Vietnam delivered to each apartment, providing an environmentally friendly living space. The highest and luxurious observation tower in Vietnam. 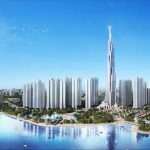 Once completed, Landmark 81 is the ideal choice for high altitude enthusiasts. From 79th floor to 81st floor, the Landmark 81 Observatory is the best place to have a 360 degree panoramic view of the city from above. 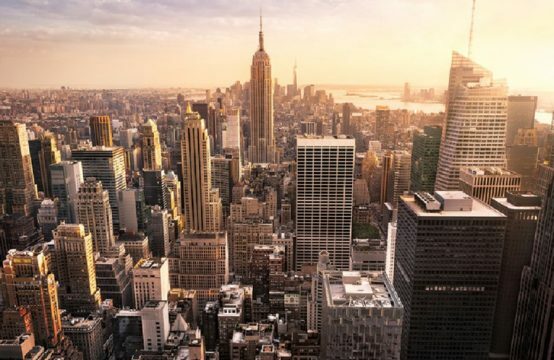 Especially, visitors can see close-ups of the city’s famous destinations through the telescope along with the most advanced touch screen system, providing the most exciting and unique experience. 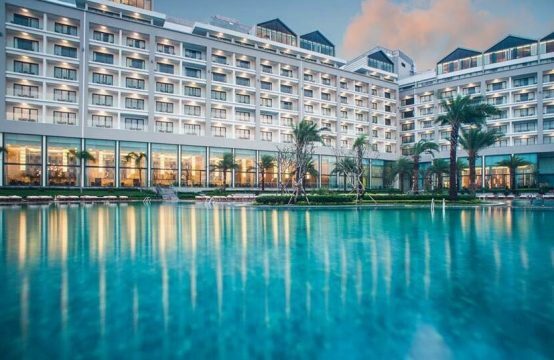 It can not mention to the 1,000-square-meter pool system including infinity pool with beautiful views of the Saigon River, along with a covered swimming pool and modern jacuzzi pool. Swimming pool system of Landmark 81 is specially designed to create a lake-effect image that extends to the horizon, infinity, bringing out great relaxing moments when the view is absolutely liberated. Not only bring a record of altitude, environmental friendliness, attractive utility, Landmark 81 also gives its residents as well as tourists a fashionable shopping paradise . In the centre of the Landmark 81 is – Vincom Landmark Trade Center 81 – shopping paradise and convergence of the most prestigious international fashion brands displayed in the most luxurious space. The world’s top luxury brands at Vincom Landmark 81 will make this place equal to the luxury shopping paradise of the world. Opportunity to experience the top class life at the highest level in Vietnam with the presence of Club House – Upper-level Club is reserved only for residents and a small number of VIP is the prominent feature only available at Landmark 81. With unique design at Wine Lounge and Cigar Lounge in Sky Bar region, Club House’s members will feel relaxing, enjoy the finest wines and the finest cigars. Unique and luxury, this place is truly a destination that brings the pride and class of every Landmark’s member. 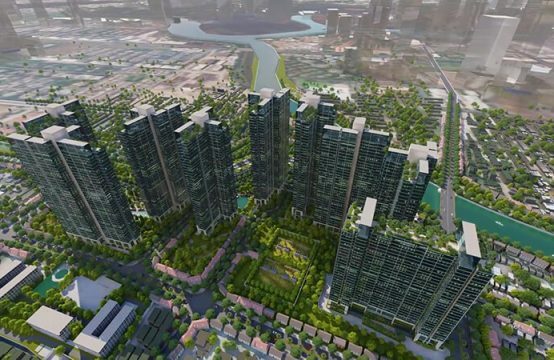 Unique features of The Landmark 81 will give your family a full and classy living as if you were in a 5-star resort in the heart of the bustling city.